Sergio Aguero tells Sky Sports News how summer knee surgery has given him a new lease of life at Manchester City. Aguero had an arthroscopy on his knee in April in a bid to be fit for the World Cup in Russia, and in a rare interview, said the procedure has done him the world of good. 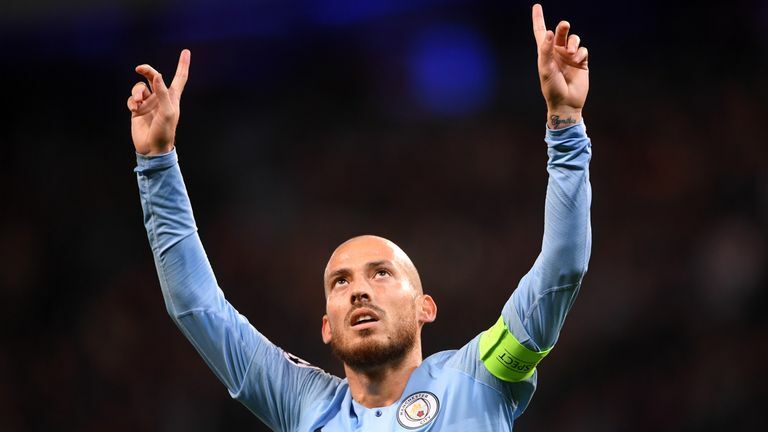 The Argentine has scored 11 goals in all competitions this season as City chase another Premier League title, and the 30-year-old insists he feels great, helping his role as the first line of defence for Pep Guardiola's side. Asked if he feels fitter now, Aguero said: "Yeah, it all comes from my discomfort in my knee. I had been suffering for a long time, had a lot of medical treatment and physio here at the club. I had some discomfort, and then at the end of last season I decided to go for surgery before the World Cup. "I had been suffering for a long time. Thanks to the work of our medical staff and our physios, I was able to play most of the games, but I always had some discomfort. "I felt pain on a training session and I wasn't seeing any improvement of my discomfort, so we decided to get surgery. I wanted to arrive well to the World Cup and now I'm very happy because I don't feel pain at all. "Luckily, things are going well for me. Pep Guardiola is happy. I try to do what he asked me to do. I try to help the team and be the first one who starts the pressing. Now I feel much better, I can do it more consistently." Asked how long it has been since he felt this good, Aguero added: "I really enjoyed at the beginning, I had a lot of fun, there were some ups and downs because of injuries. "Now, I'm very happy, hopefully, injuries can stay away from me and I just want to enjoy my last years at Manchester City the best way I can and, especially, I hope I can win more trophies which would be great for the club." City have failed to retain the Premier League title on their previous two victories, while no club has won back-to-back titles since Manchester United in 2007-2009. Aguero insists he can see the same energy in the dressing room at City, and says if they keep the same focus, they will have a big chance of winning it again. "It's not easy to win the Premier League again, but I see the same energy and attitude as last season. That gives us confidence for the future. I think if we keep up the same level, winning after winning, we have lots of chances to win again. "We know what our style of play is. We know how to press, how to start the build-up, how to play, all the movements, etc. We are almost the same players as last season. I think it's going to depend on us. It's going to depend on our mentality. If we manage to keep focused, we can achieve great things." City face West Ham and former manager Manuel Pellegrini on Saturday at 3pm, and Aguero says the international break has done him and the team good as they return to Premier League action. "I realised how important these international breaks are. They help to clear your mind from football. Now, we go back to the routine and we are going to focus on football until the next break in March." Magical burger 🤟🏽 My bro !! 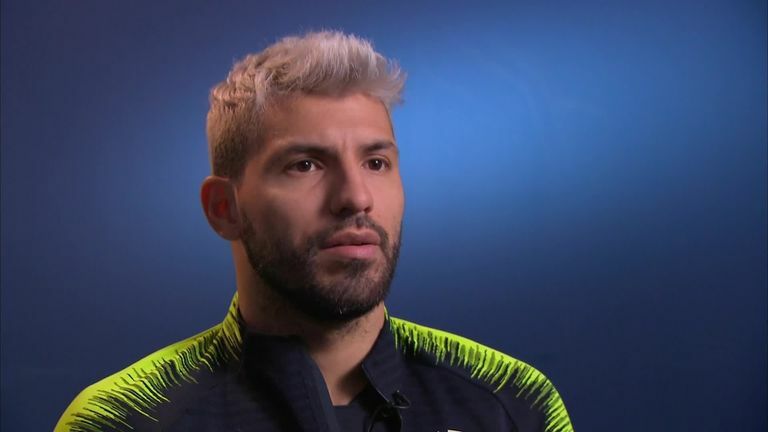 Aguero also recently posted a video of him eating a 'rainbow burger' while in Los Angeles, but the striker insists he didn't eat the entire burger, and joked that manager Guardiola had asked about this particular culinary delight. "He is a friend of mine from Los Angeles. It was just for the picture, I wasn't going to eat it all. After that, Pep told me: 'What are you doing eating that?"